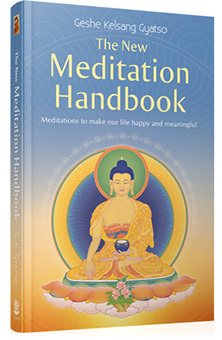 Meditation is an ancient art, increasingly practised in modern times. More and more people are turning to meditation to increase their inner peace, good health and wellbeing. The purpose of meditation is to make our mind calm and peaceful. Meditation is a mind that concentrates on a virtuous object, and that is the main cause of mental peace. The practice of meditation is a method for acquainting our mind with virtue. The more familiar our mind is with virtue, the calmer and more peaceful it becomes. Therefore, it is important to train our mind through meditation. By training in meditation, we create an inner space and clarity that enables us to control our mind regardless of the external circumstances. If our mind is peaceful, we will be free from worries and mental discomfort, and so we will experience true happiness. If we train in meditation, our mind will gradually become more and more peaceful, and we will experience a purer and purer form of happiness. Eventually, we will be able to stay happy all the time, even in the most difficult circumstances.